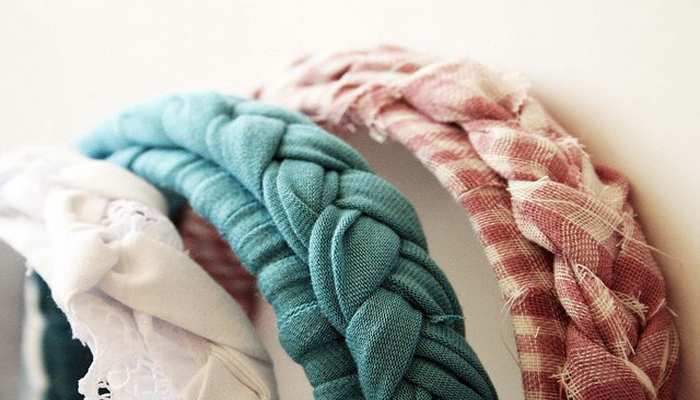 A simple idea to make use of leftover fabric is to create a stylish headband. You can use any fabric for this idea (even old suit ties), and you don’t have to do a bit of sewing. You can follow the “Make a No Sew Fabric Head from Old Clothes” guide for handy tips and pointers. This is one of Betty & Walter’s founder and head-designer, Lisa Levis’ very own ideas. Remember the high-waisted bottoms that Marilyn Monroe used to wear on her luxurious beach outings? You can create your very own gathered bikini top from pattern and a matching pair of high-waisted bottoms. Vintage everything has become ever so popular. Why not do a little pretend this summer and create your own 1960's actress look? 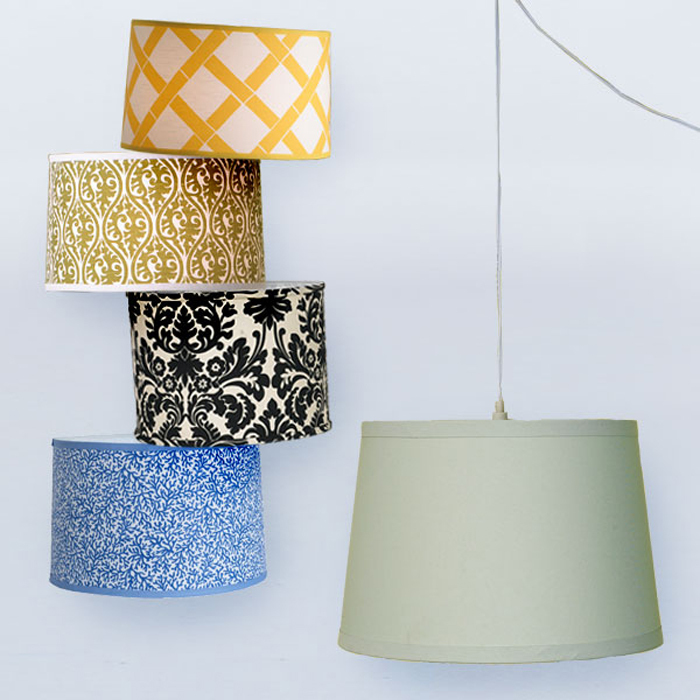 If you’re bored with the textures and colour of a room, you can make simple modifications such as changing your lampshade cover, to create a whole new atmosphere, look and feel in your room. From vintage to fancy, this idea for using leftover fabric doesn't require that much material (about a metre for this shade shape), and it’s very simple to do. Collect a bit more than a metre of paper to trace the pattern, spray-on adhesive, a pair of scissors, and of course your fabric of choice, and follow the steps in the lampshade covering guide. 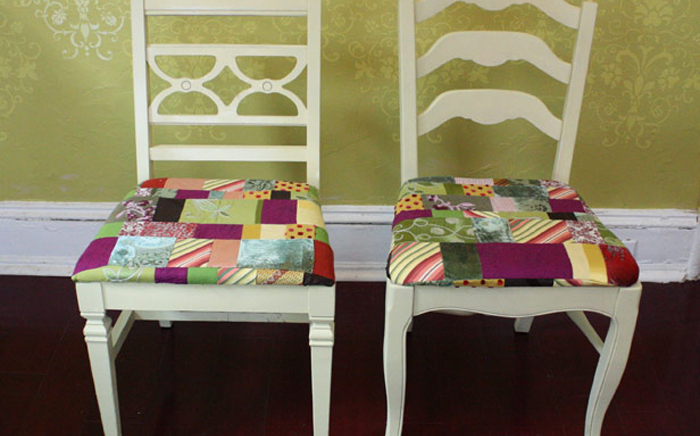 Although not everyone’s comfortable with doing their own upholstery, you can always stitch pieces of old fabric together in a quilt-like fashion and take it to a professional upholsterer. Try to create an even spread of different colours if you’re doing a set of chairs or stools so that you can highlight the colours with other pieces of furniture and create a certain look. The chairs below are well matched against the green wall, because there are many greens in the chairs’ patchwork. The same will be possible if the chairs were set against a dark pink wall. Another idea is to create a small sized bag. If you don’t have enough of the same fabric for both sides of the bag, you can make a multi coloured bag too. Which bag do you use most often, iPad case or makeup clutch? Below are some of our favourites. 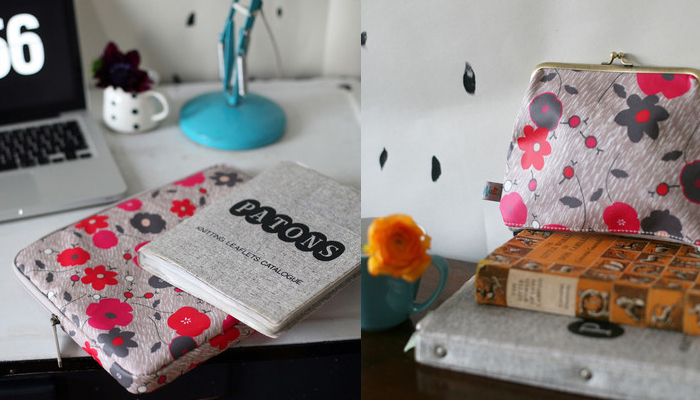 Betty & Walter was created in 2011 by British textile designer, Lisa Levis (previously Stickley). Inspired by her aunt Betty and uncle Walter, Betty & Walter designs are a reflection of practicality, value and quality, and feature a fresh take on modern print.